Skechers combine iconic lightweight design and premium materials to achieve the ultimate in comfort and design. 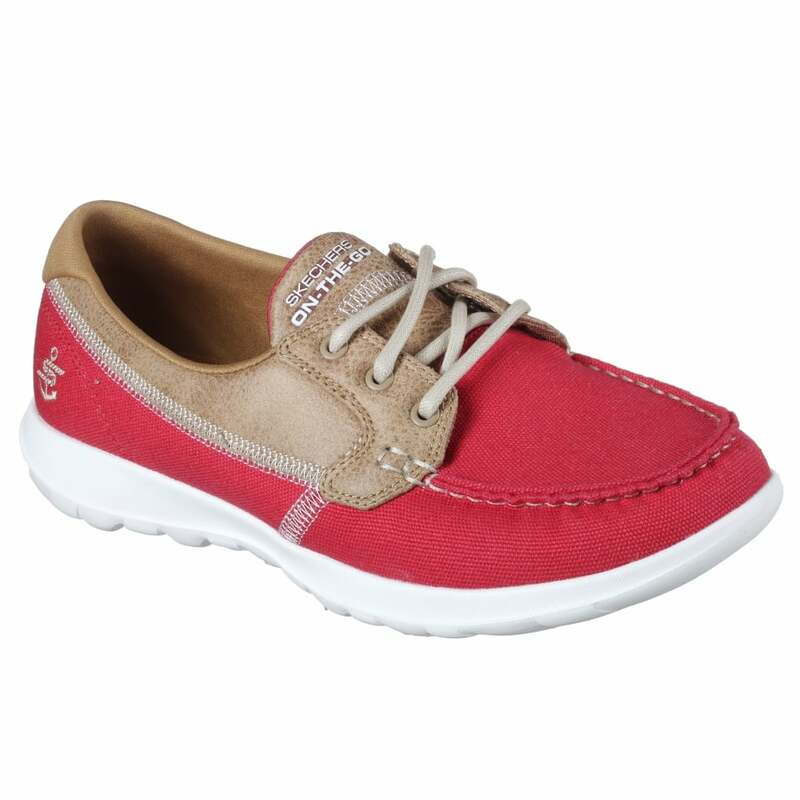 The Coral GOwalk lite trainer is created with a colourful canvas fabric, and smooth leather-tex fabric upper. Designed with a flexible mid sole this lace-up boat shoe will add a touch of nautical chic to your outfit.